We can argue about whether college is worth the financial implications or not from now until tomorrow, but there’s no denying the fact that a college education still plays an important role in career prospects and growth. Hence, for folks who are already in college or those planning to go back to get a degree, there’s always a nagging concern about how to fund a college education. Unless you have rich parents (or relatives) willing to fund your college expenses, the means of raising funding for a college education are pretty limited. This post looks at 4 financial aid offers for a college education in the order of favorability of terms and conditions. The cheapest way to pay your way through college is to get free money. College education is not free in the U.S. (it is free in some places in Europe) but you can still fund your education with other people’s money via scholarships and grants. You can get different types of scholarships based on merit (or catchment). You can also get grants in you want to pursue a field of study that has special support from government or corporate bodies. However, you need to know that you’ll need to do a lot of serious work to satisfy the requirements for keeping your scholarship or grant alive. For instance, you might need to main a certain GPA or pursue a specific field of study. You don’t have to worry about student debt if you can pay your way through college with your money. 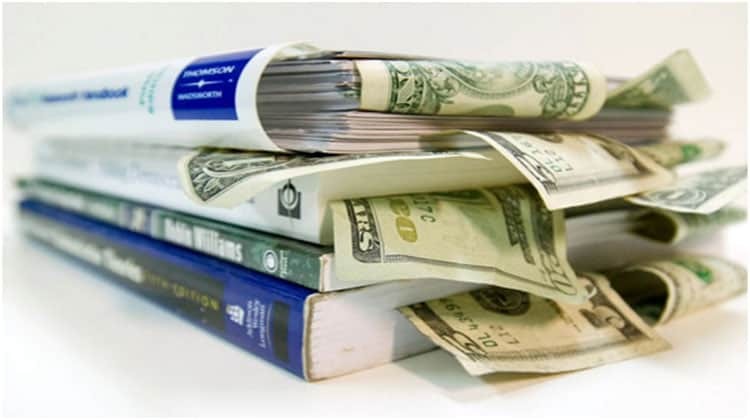 Work-study programs can offer you debt-free financing for your education but you’ll need to work for the money. Working while studying can be very challenging because you’ll be managing two schedules but it can be done if you put your mind to it. The amounts of money you raise through work-study programs generally depend on the kind of work, your skills, and the amount of time you are able to devote to actually doing the work. For me, work study helped to cover some of the costs of college. Plus it gave me some spending money too. While avoiding more debt was the goal, having to balance work and studying helped to solidify my time management skills and helped me to be successful in college and in the working world as well. If you can’t access free money (scholarships and grants) and you can earn money (work-study programs), you’ll need to borrow money to pay your way through college. I think it’s in your best interest to give a higher preference to subsidized loans such as Federal Student Loans. Reading up all about FAFSA guides indicate that Federal Student loans won’t start generating interest until after you leave school. Hence, your interest payments will be much lower than other types of loans. Of course, you’ll need to meet the requirements for financial need and send in your application in good time. You also need to remember that you’ll repay the loan with interest and be sure you understand terms and conditions as well. In some instance, you can get a loan for funding your tuition or college expenses from your state of legal residence or from the college you are attending. Loans from a state government might not have liberal terms such as federal student loans. If you don’t borrow more money than you need, you should be fine with college loans and you can always ask for a lower among than the amount being offered by your college. However, you’ll need to remember that you’ll be required to repay the loan with interest. Therefore, you should double check the fine print on the terms to avoid unhealthy surprises. There are 4 great ways to help with the cost of paying for college. Ideally you want to explore the options that won’t put you into debt first, namely grants, scholarships and work study programs. From there, you can begin to research loans to help cover the cost. As long as you are smart about your choices and think through your options, you should be able to earn your degree and have manageable debt to repay. You can even consider refinancing your existing loans to better fit into your post-college lifestyle as well.